Journey to Mia: OUR BIG CALL!! March 5, 2007 we got our big call!!! We had been matched with a baby girl that was only 6 months old! It was soooo exciting...but almost seemed unreal. Could it really be happening? We decided a long time ago to name our baby "Mia". Her name means: my girl. We want her to always know that we chose her. 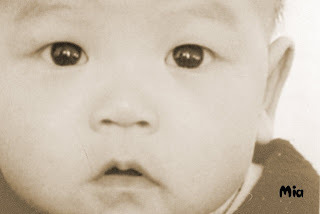 Mia's name in the orphanage is YangXi Zi Zhen. 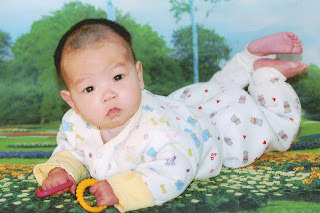 YangXi is the name of the orphanage and all of the babies there have the same "last name." We received pictures and her medical report via Fed-Ex the next day.